The Victoria & Albert Museum in London (V&A) holds an extensive collection of stained glass from the 12th century onward with a selection of recent work on display. Our associate Ruth Taylor Jacobson AMGP is one of the contemporary artists represented at the V&A, with her panel The Eternal (2004-05) on show in the Sacred Silver & Stained Glass gallery not far from Birdman (1993) by our associate Ruth Kersley Greisman AMGP. The V&A acquired American stained glass artist Judith Schaechter’s Birdbath (1993) which features in the Contemporary Glass room of the museum’s Märit Rausing Gallery. See the collections.vam.ac.uk to search the collections for more information before you visit. One of the best places to see a wide range of stained glass is The Stained Glass Museum located in Ely Cathedral. As well as historic windows it houses a collection of late-20th to early-21st-century stained glass panels by artists including Mark Angus, Johannes Schreiter and Debora Coombs, as well as by our Associates and Fellows Benjamin Finn AMGP, Rosalind Grimshaw FMGP and Alan Younger FMGP. 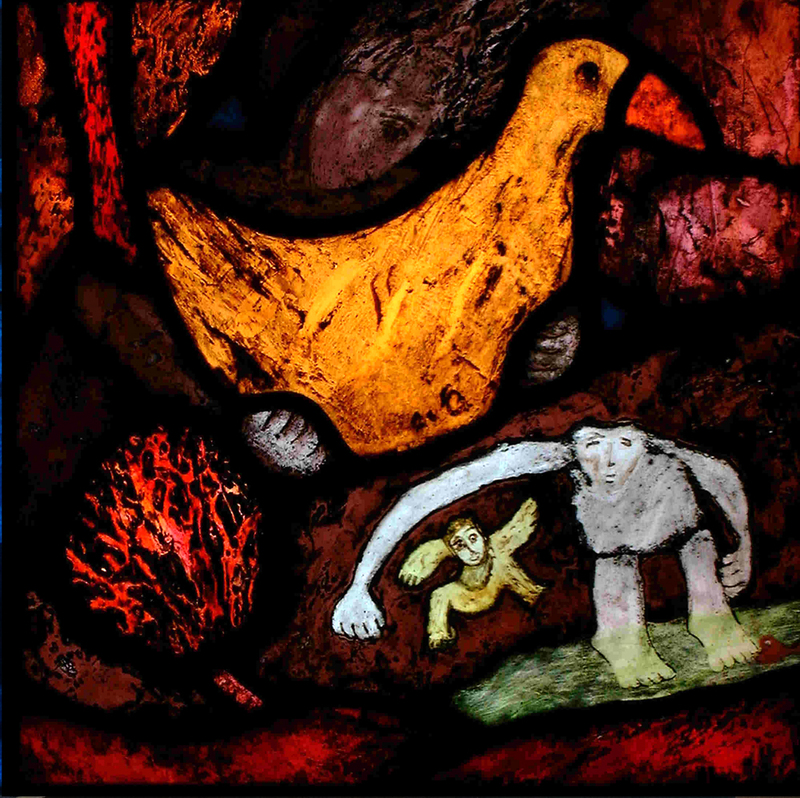 The Stained Glass Museum also runs workshops and hosts exhibitions of contemporary glass, such as Rachel Mulligan AMGP’s The Seven Ages of Man open until March 2019.